The All India Sardar Balwant Singh Kapur Memorial Hockey Tournament for Mata Prakash Kaur Cup is set to enter its 15th year. The tournament started by six brothers in memory of their parents will start from January 6. This year, 14 teams will participate in the tournament. Teams from Bihar, Madhya Pradesh, Odisha, Delhi, Haryana, and Uttar Pradesh will took part in the event. 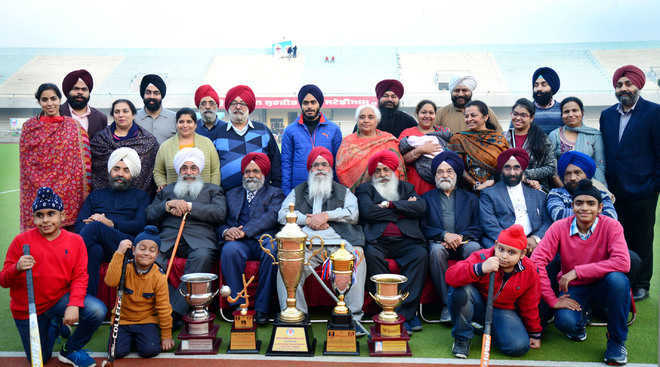 ‘Sardar Balwant Singh Kapur Memorial Hockey Tournament and Mata Parkash Kaur Cup’, these are not only the names that are associated with a particular championship, but are a symbolism of togetherness of a family and a story of six brothers who are keeping alive the memory of their parents for the past 15 years. Gursaran Singh Kapur (82), Harbhajan Singh (79), Manjit Singh (76), Manmohan Singh Kapur (73), Tirath Singh (68), and Hardeep Singh (59), are the brothers who have held the baton of values and morals that were given by their parents to always stay connected. The winner team will get Rs 1.25 lakh, followed by Rs 80,000 and Rs 60,000 and Rs 40,000 to the second, third and the fourth teams. Six best players will be given Rs 7,500 each. After the death of their father, the brothers thought of doing something for keeping the memory of their father alive. So they started organising the tournament in 2004. After the death of their mother in 2008, Kapur brothers named the trophy after their mother’s name ie Mata Parkash Kaur Cup. Three of them resides in different parts of the country, one lives in London but they make it sure that this is the time when they all have to come together.